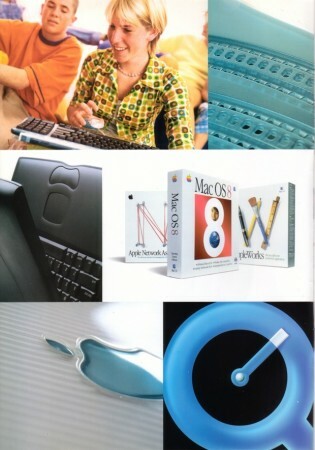 Page 2 of a 1998 Italian Apple brochure introducing the iMac G3, the PowerBook G3, Mac OS 8 and related software. Good “vintage” stuff from Riccardo Mori over at System Folder. Love the lady’s shirt. Posted by davelawrence8 at 12:06 pm on October 31st, 2012. No comments... » Categories: apple, lowend, macs. Tags: apple, brochure, italian, product, system folder. Subscribe via RSS. Who needs a computer, anyway? Neat brochure designed by The Simpsons creator Matt Groening. Looks like it’s geared toward college students. Posted by davelawrence8 at 6:59 am on April 5th, 2010. No comments... » Categories: apple, lowend, macs. 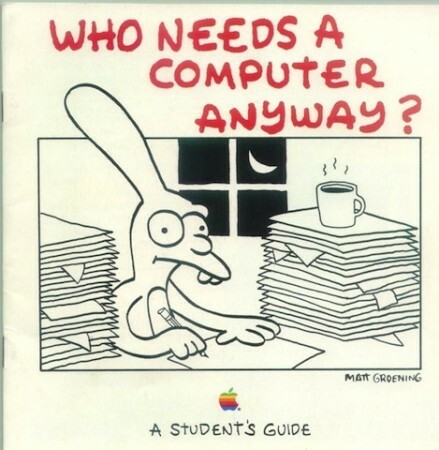 Tags: ad, apple, brochure, macintosh, matt groening, simpsons. Subscribe via RSS.